The Osmo system from DJI combines the Zenmuse X3 camera/gimbal with a detachable handle, bringing the benefits of stabilized 4K shooting to a handheld form factor. The camera features a 1/2.3″ CMOS sensor that enables up to full DCI 4K (4096 x 2160) video recording at 24 or 25p as well as 12MP photo capability. Basic controls for the camera and gimbal are provided on the handle itself, including a joystick for manual pan and tilt. -> PolarPro DJI Zenmuse X3 Filter 3-pack now also available for hire <- For monitoring and more advanced operation, there is a Wi-Fi link allowing Osmo to be tethered to a mobile device running the DJI GO iOS and Android app. An included smartphone holder effectively turns your smartphone into an on-board monitor. The Wi-Fi features a range of up to 85′, so you can operate the camera and gimbal remotely as well. 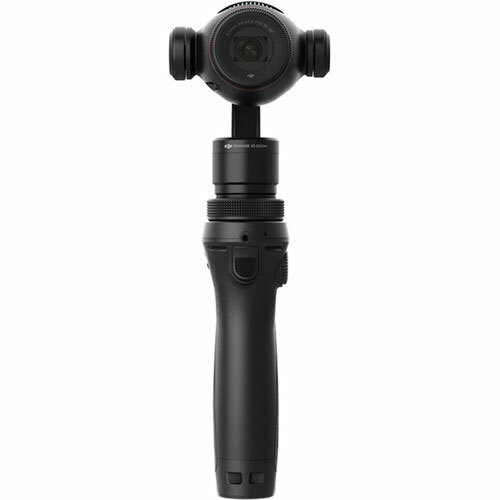 DJI Osmo+ Handheld Gimbal with 4K Zoom Camera is available for rent or hire from RENTaCAM Sydney.